As the arrival date of a new born baby nears, there is lots of excitement and as well as anxiousness among parents. It is at this time, would-be mothers need to be all the more careful and keep a hospital bag with basic essentials for her and the baby ready. Keeping a baby bag ready a month prior to the due date would help in avoiding last minute shopping, packing and other hassles. 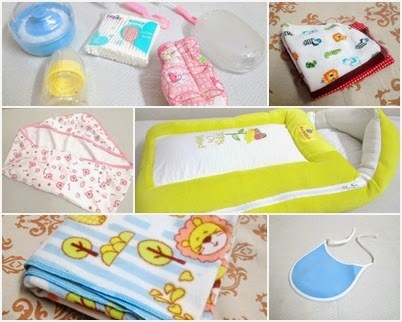 Here I am sharing the must-have baby essentials that have to be placed in your hospital bag, so that the new born is comfortable and all his basic necessities are met. Hope you found this post useful. If you like this post please post a comment in the comment section below and share this post through your social media channels. Like us on Facebook, Twitter, Instagram and Google plus for updates on new posts.